The Foundation Open Ukraine provides travel grants for travel costs for Ukrainian artists to exchange artistic experience at the international level and to improve cooperation between Ukrainian and foreign artists. These grants give Ukrainian artists the opportunity to present their achievements around the world. Grantees are chosen monthly based on the decision of the Program Council. Maryna ZUBKO, Student of Tchaikovsky National Academy of Music (NMAU), Participated in vocal master course by prof. Thomas Hayer of High School of Music, Germany. Max KIDRUK, Writer, Presented technothriller “BOT” upon invitation of the Department of Ukrainian studies at the University of Presov, Slovak Republic. Nataliya FOMENKO, Harpsicord Professor and Concert Performer, Participated in the international harpsichordist competition “Wanda Landowska Harpsichord Competition”, Italy. Kateryna BABKINA, Writer and screenwriter, Presented Ukrainian video-poetry at the Festival of Ukrainian and post-Soviet cinema KINOFEST NYC, The U.S.A.
Victoria LESHCHENKO, Programme Coordinator of the International Documentary Film Festival on Human Rights Docudays UA, Participated in the International Documentary Festival Visions du Reel, Switzerland. Lada NAKONECHNA, Artist and R.E.P. group member, Participate in "Revisiting Footnotes" exhibition and symposium, where presented her work “Earlier. Now. Further.”, and presented R.E.P. group activities to the symposium’s participants, Latvia. Tymofiy HAVRYLIV, Writer, Participate in the biggest literature festival Norsk Litteraturfestival in the countries of the Northern Europe, Norway. Oksana ZABUZHKO, Writer, Held artistic meeting on the occasion of publishing her novel «Museum of Abandonned Secrets» in English, The United Kingdom. Yaroslav FEDORYSHYN, Manager-Art Director of Lviv Academic Theatre “Voskresinnia” (‘Resurrection’), Manager-Art Director of ‘Zolotiy Lev’ (‘Golden Lion’) International Theatrical Festival, Visited International Hanoch Levin Theatrical Festival, Israel. Larysa VENEDYKTOVA, Performer, Journalist, Regisseur, Together with TanzLaboratorium Theatre she visited the IXth «Zawirowania» Dance Theatre Festival, Poland. Darya DADYKINA, Tchaikovsky NMAU student, Participated in master courses of Austrian pianist and Professor Lang and Italian Professor Fabio Bidini, Italy. Iryna BEREZHKO, Artist, Opened her curatorial project «Myths and Legends of the Eastern Europe» in Amsterdam, The Netherlands. Maryna HRYMYCH, Writer and Translator, Participated in workshops on contemporary Ukrainian literature as part of activities Literarisches Colloquium Berlin and visited Frankfurt Book Fair, Germany. Natalia ILCHUK, Film Director, Attended the Islandic Festival The Northern Wave, where presented her short film «Self-Portrait», Island. Dmytro SHEVCHENKO, Fashion Designer, Participated in 14th International Competition of Young Designers, China. Sophia KAFTANYUK, Cellist, Participated in the International Competition of Cellists, Germany. Zhanna BEBESHKO, Film Director, Participated in International Telefestival «Zlata Praga», Chezh Republic. Ivan LEVCHENKO, Director – Production Designer, Participated in International Cinema Festival in San-Sebastian, Spain. Anastasia DOBROVOLSKA, Film Director, Participated in Festival of Short Films in Berlin, Germany. Victoria KOVALENKO, Artist, Participated in Artistic Residency, Sweden and Finland. Anna Gusyeva, Pianist, Participated in the International Competition of Young Pianists, Italy. Anna ARKUSHINA, Composer, Participated in the International Academy of Modern Music for Composers and Ensembles «Impulse». Mykola Kravchenko, chairman of NGO “Book Space” for the presentation of French language Almanac of Modern Ukrainian Literature at the Paris Book Fair. Anatoliy Lavrenishyn, director of animated films for the presentation of full-length animated film project “The Book of Shadows” at the International Festival of Film and Music in Aubagne, France. Maryna Vroda, Ukrainian filmmaker for the presentation of the short film “KROS” at the International Festival of Ukrainian and post-Soviet Cinema in New York, USA. Olena Maksymenko, filmmaker for the presentation of film on environmental topic, “2086” at Tromso International Film Festival, Norway. Serhiy Zhadan, writer for the presentation of Belarusian edition Anarchy in Ukr in Minsk, Belarus. Larysa Polishchuk-Rusina, photo-painter who organized author exhibition “SECRETS” at The Euro Cup Festival in London, England. Vasyl Viter, filmmaker for the presentation of film “Love Given by the Stars”, which is dedicated to Franz Liszt stay in Kyiv at the international television festival “Golden Prague” in Prague, Czech Republic. Lesya Horova, Honored Artist of Ukraine for participation in the Days of Ukrainian Culture in Antalya, Turkey. Oleksandr Danylenko, filmmaker for the presentation of music video for the band DakhaBrakha “Carpathian Rap” at the International Animation Festival in Portugal. Andriy Kurkov and Lyubko Deresh, writers to participate in the promotional activities of the Ukrainian delegation within the Festival of European Literature in Cognac, France. Vadym Larchikov, actor of duet Violoncellissimo to participate at the International Festival “100 Years of Russian Futurism” in Moscow, Russia. Alevtyna Dobin, laureate of international competitions, student at the P.I. Tchaikovsky National Music Academy of Ukraine to participate in international master classes of maestro Vladimir Viardo in Nova Gorica, Slovenia. Maryna Zheleznyak, filmmaker so she could get consultations on film editing of her documentary “Hryhoriy Ivanovych” from world renowned filmmaker Valdís Óskarsdóttir in Reykjavik, Iceland. Nataliya Danshyna, singer to participate in the Early Music Festival in Utrecht, Netherlands. Alevtyna Dobyna to participate at the international music competition “The Baltic Stars” (Estonia). Nazar Fedyuk, to participate at the III international violin competition “Award S. Goldberg” in Meissen (Germany). Yulia Homelska, Ukrainian composer, to participate at the International Global music festival World New Music Days, which takes place in Zagreb, Croatia. Yulia Bozhyk and Anna Pankova, Ukrainian piano duet. They participated in V International Competition of Piano Duets in Bialystok (Poland). 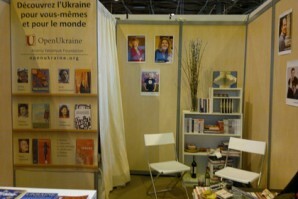 Oleksadr Afonin, president of the Ukrainian Association of Book Publishers and Distributors, to visit France as part of the project “More counties – more books”. Olena Maksymenko, filmmaker to participate at the 11th International Movie Festival Up and Coming that took place in Hannover with film Loyalty. Alla Zahaikevych, composer and head of the Association of electro-acoustic music, to participate in the concert of laureates of the international contest of electroacoustic music Musica Nova. Natalia Yehorova, filmmaker to participate at the International Movie Festival AMIRANI, which took place in Georgia, with the documentary “Over achiever”. 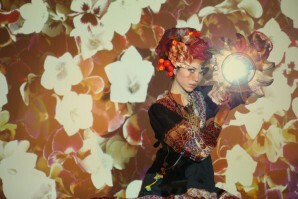 Exhibition of Ukrainian photo artist Larysa Polishchuk "Secrets"